my collecting habits are kind of odd. just because i'm an oakley fan, doesn't mean i try to collect every pair that is available. i like collecting hard-to-finds and rarities, with the addition of the pair actually fitting my face. both have to be satisfied in order for me to buy it. if you have anything that you want to get rid of, message me! looking at those setups took my breathe away for a moment. nice work! hey francois, no love for the leather mars eh? ah, the return of footers, yay! Wow, that Hijinx there really turned me on:) Wasn't really into the Artist series until i saw this piece. Now i really want it! Hey jason, is that a purple corvette? Very impressive hauls for everyone, especially Terrorism's multitude of x-metals and darren's pitboss. Here are some of my pieces that i added to my collection. Note, this was not all from one shot but from the last 2 1/2 months of scrounging up enough dough for em. me want x-metal logo now! Someone's got a blue addiction there. Seems like pink iridium is def in; gotta get me a set! hey ira, do you have a picture of the top of the shoebox? for some reason, the simple display pieces really make a display cabinet professional. 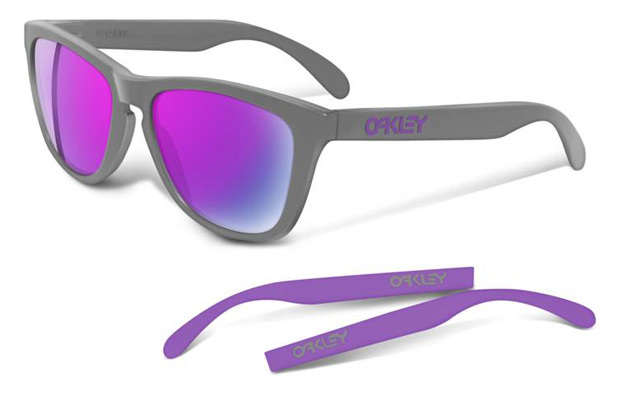 for example, the authorized oakley display, single coin holders and those oakley blocks are definitely sweet. oh man yukio, i give anything for your display piece there:) there's another piece that i like which is that rotating display that holds like 3 or 6 pairs. anyone have pics of that? the lighting really makes those glasses stand out. also, love the current arrangement in the medicine cab compared to before. keep up the good work! How do you use your Clawbiner? Sure the RC goggle looks sweet but with the ghosting effect, wouldn't it be dangerous when you're carving the mountains? whoa, hydrophobic x-metals? sounds very interesting. would you happen to know what lens options would they be Oak? help, i'm running out of space!! !